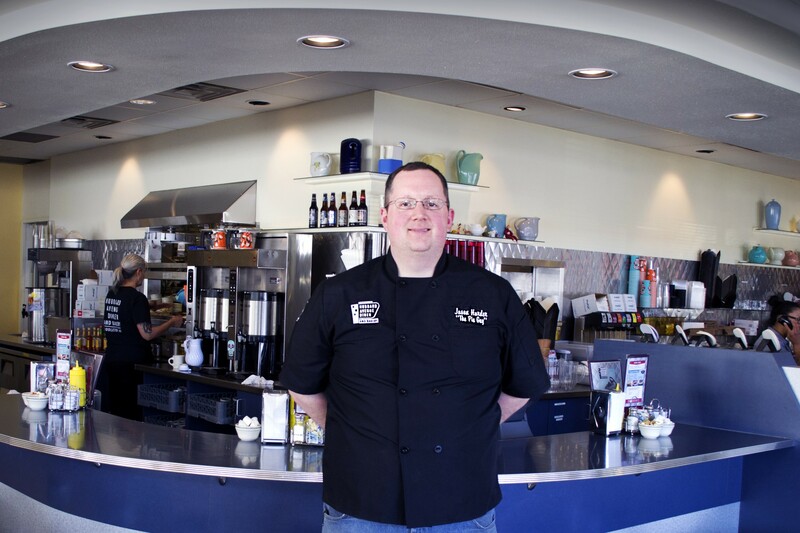 "The Pie Guy", Jason Harder stands proudly in Hubbard Avenue Diner. Candy Cane Pie Tacos will be released Thursday at Hubbard Avenue Diner for $3.99 a taco, or $7.49 for two. The Candy Cane Pie Tacos will be available throughout December, in addition to other flavors like apple, cherry, French silk and pumpkin. 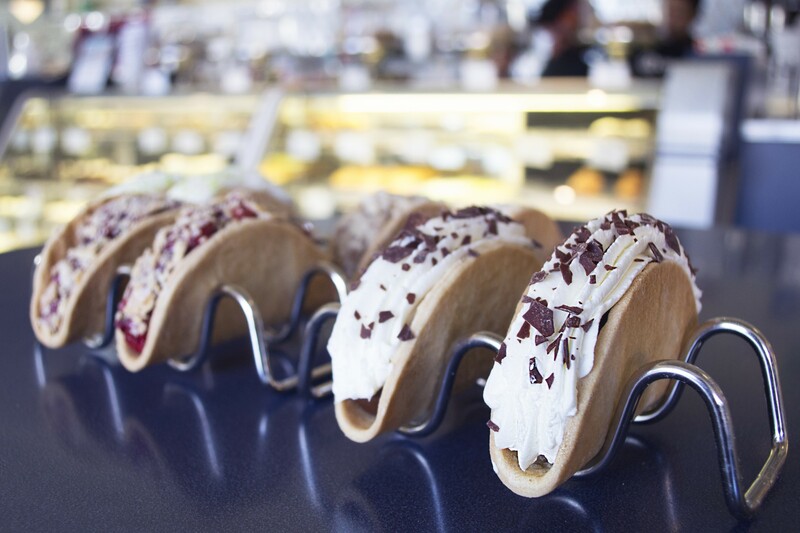 It’s the first time Hubbard Avenue Diner will be showcasing the tacos, which are filled with mint cream, crushed candy canes and chocolate ganache, and are then topped off with whipped cream and an additional dose of candy canes. The interesting take on tacos was created by “The Pie Guy,” Jason Harder. The pie tacos were introduced in April 2018, and since then Hubbard Avenue Diner has released multiple pie flavors. 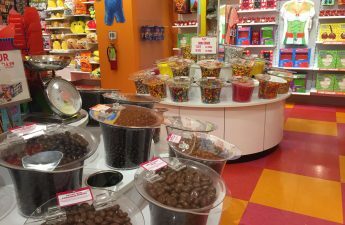 Harder is responsible for inventing flavors like Hot Fudge Malt, KeyConut, Red Velvet, Crème Brûlée and Old Fashioned, he said. Based on previous results and happy customers, Harder will be preparing about 300 to 400 tacos for Thursday. They might sell out, he said, so hurry in. “Everyone needs to come in and try the new flavor,” Harder said. He expects a good turnout for the new taco. 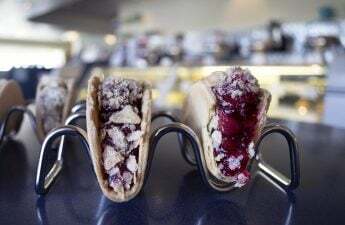 Not only are the Candy Cane Pie Tacos about to make their first appearance at Hubbard Avenue Diner, but it’s also predicted they could be the first candy cane flavored pie tacos to sell ever. 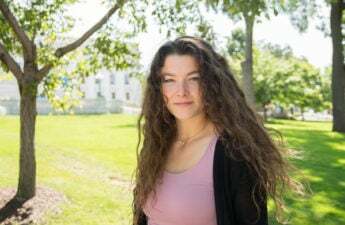 “Based on our internet searching there aren’t any other pie tacos made with actual pie crust out there, so I would think it is a good assumption no one has ever sold Candy Cane Pie Tacos,” Harder said. Customers are advised that while the tacos are expected to have a positive reaction from customers, they do contain dairy and gluten. But the cherry pie taco is vegan. If you’re unable to stop in for a Candy Cane Pie Taco, large orders can be called in ahead of time by contacting (608) 831-PIES.